Welcome to OwnLogan.com where you can search ALL Logan Utah Real Estate lisitings. You also get access to ALL the properties from ALL the REALTORS in Utah. 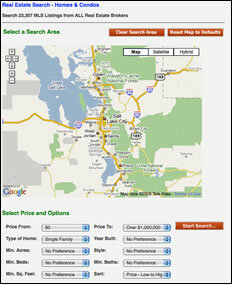 Search for Utah Real Estate with over 20,000 homes at your fingertips. We provide the best Logan Utah Home Search with maps, school information, photos, neighborhood views and more! OwnLogan.com is the most detailed site around. We also send you new listings and price change alerts so that you can be first to find that perfect property!